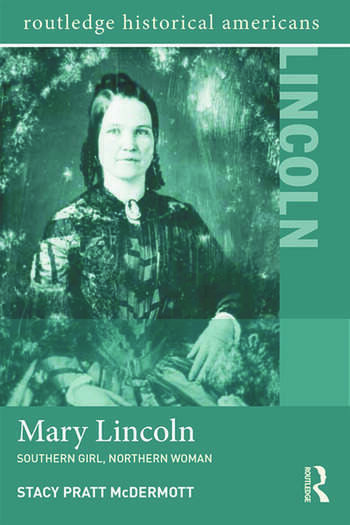 One of America’s most compelling First Ladies, Mary Lincoln possessed a unique vantage point on the events of her time, even as her experiences of the constraints of gender roles and the upheaval of the Civil War reflected those of many other women. The story of her life presents a microcosm through which we can understand the complex and dramatic events of the nineteenth century in the United States, including vital issues of gender, war, and the divisions between North and South. The daughter of a southern, slave-holding family, Mary Lincoln had close ties to people on both sides of the war. Her life shows how the North and South were interconnected, even as the country was riven by sectional strife. In this concise narrative, Stacy Pratt McDermott presents an evenhanded account of this complex, intelligent woman and her times. Supported by primary documents and a robust companion website, this biography introduces students to the world of nineteenth-century America, and the firsthand experiences of Americans during the Civil War.